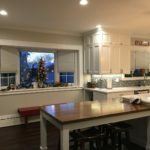 A kitchen makeover is one of the biggest and costliest home improvement decisions homeowners make, and one that you don’t want to second-guess yourself after the final fixture has been installed. Remodeling Magazine pegs the cost of a mid-range kitchen remodel that includes new countertops, appliances, cabinet fronts and hardware at close to $20,000, though they payoff can be an investment return of over 50 percent. There’s not just one right surface for countertops. From marble to quartz to granite to hardwood and more, kitchen remodelers have many striking and quality options available. The most important question homeowners need to ask themselves: What countertop is right for your kitchen, your family and your budget? Granite: Granite’s natural beauty and near diamond-hard durability make it popular, but granite’s non-porous nature makes it impervious to mold and mildew. Granite is also the Superman of countertop surfaces, able to resist heat, scratches and stains. Plus, granite blends into almost any kitchen. Another bonus: Most granites require no sealing, offering what Houzz.com calls, “incredible longevity.” No wonder granite has been a trusted countertop option since the days of Egypt’s ancient pyramids. Quartz: An eye-catching surface that stands the test of time, crushed natural quartz forms a stylish, colorful surface when blended with color pigments and plastic resins. Heat, stains and scratches can’t blemish quartz’s beauty or quality. Plus, quartz’s nonporous material offers hygienic and antibacterial benefits and does not need to be sealed — talk about low-maintenance. Marble: Marble is naturally porous, making it susceptible to etching and stains. Marble is especially sensitive to acidic liquids and potent chemical cleaners. Wine especially does a damaging number on marble if not wiped away quickly. Marble requires high-grade sealants to protect the surface. Granite: Being a natural stone, granite’s color options (tan, gray, yellow-gold, off-white, peach and blue gray, among others) are limited compared to color-enhanced quartz. While the most low maintenance of all countertops, granite may need occasional sealants to ensure its luster and longevity. Quartz: It won’t win many countertop beauty contests. Without color enhancements, natural quartz is mildly dull and unappealing. It’s essential for homeowners to know what they’ll be paying. Marble is the Cadillac of countertops. 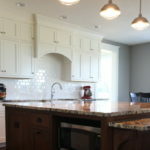 Bob Vila notes it is much more expensive than granite and Homewyse.com estimates the average installation cost of marble countertops between $67.57 and $98.53 per square foot. 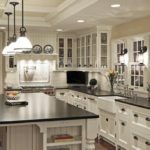 Granite and soapstone surfaces usually begin around $40 per square foot, low-maintenance quartz starts around $120 per square foot. HomeAdvisor.com estimates the average installation cost of 100 square feet of quartz countertops at $5,900 to $14,000. 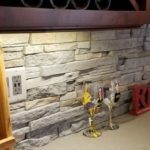 Granite is the most affordable installation option of the three surfaces, on average costing $3,100-$4,500 to install, according to HomeAdvisor.com. Installing countertops is a huge investment and decision for any kitchen makeover. 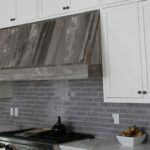 Knowing what surface is right for your kitchen and budget before installation will ensure your countertops stand out and perform as the centerpiece of your kitchen today, tomorrow and for years and decades to come. For more information on your kitchen’s countertop options, consult the experts at Moose Ridge Construction.